This is first of many graphics sets. Set one has letters & numbers in three diffrent styles. 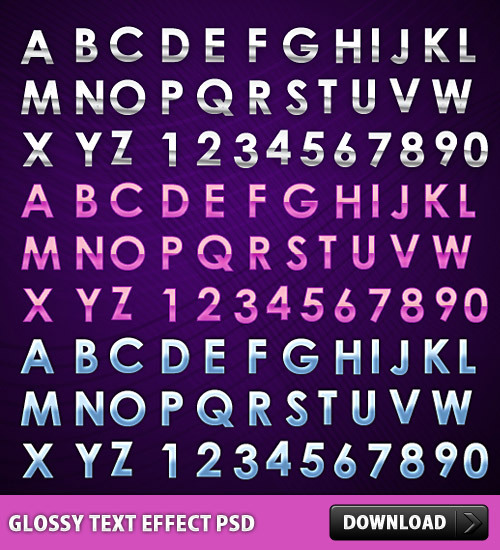 Download Free Glossy Text Effect PSD. Enjoy!